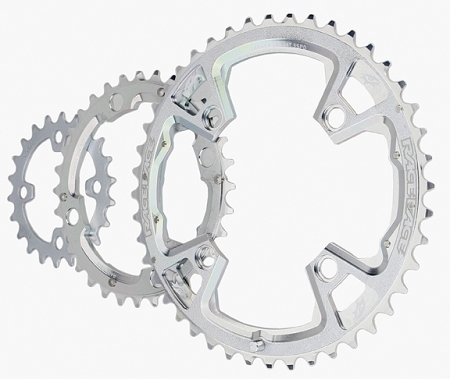 Truvativ 9speed mountain bike triple chainrings. 22-32-44 tooth combo, 94/58bcd 5-bolt. Works on Zinn square taper MTB cranks.